This coming week our school is going to host their first ever Walk-a-thon. This is going to replace our normal magazine, wrapping paper fundraiser. As part of the Walk-a-thon event, the week is going to be used to promote health and fitness. I thought I would share my plans again for this week. Along with some of the books we'll read and activities we'll be doing. 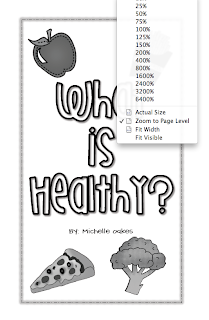 This week my sweet teaching partner Ashley found a super cute book on being healthy. 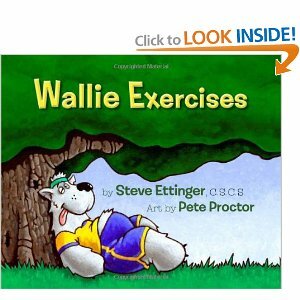 Lately, I felt exactly like Wallie looks on the cover, so I'm all for exercising and healthy foods this week. 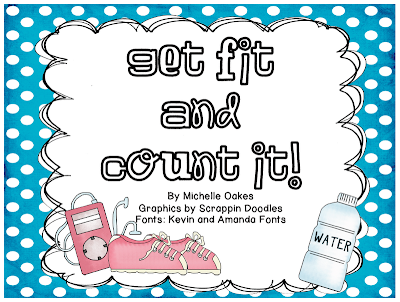 There are some adorable exercises in the book. You can check out a video of the exercises here. I also made an emergent reader. You can click on the picture below to download. 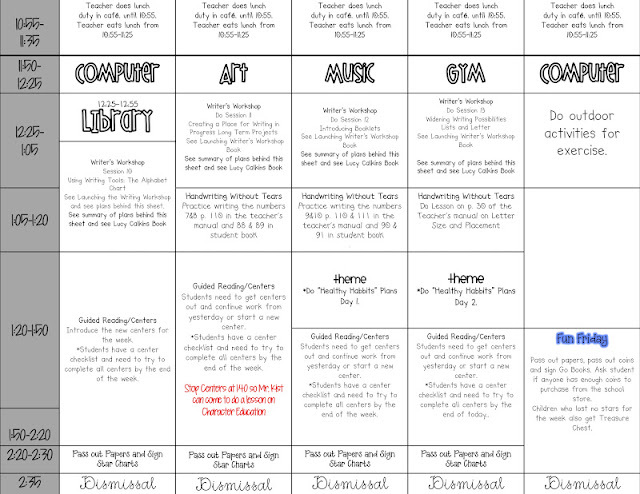 I also made a math and literacy center for this week. You can click on both images to download. For all of you waiting for the Oct./Nov. version of my morning menu. It's coming soon. PS. 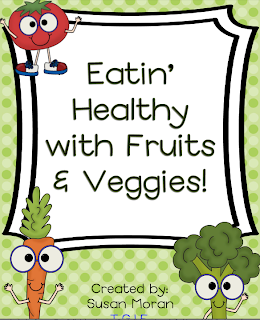 If you want an amazing unit on being healthy. Check out my sweet friend Susan's unit. This all sounds so great. Keep us posted on how the Walk-A-Thon goes. Our school has Walking Wednesday. Each Wednesday the students walk (or run) around the outside of our playground and field. They do it for 30 minutes each week. The kids love it. 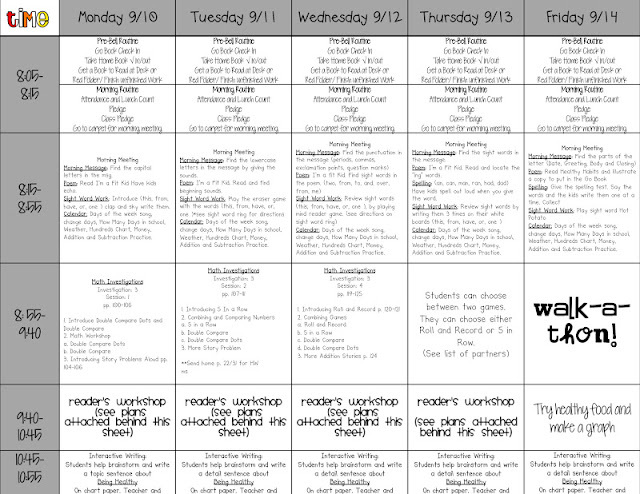 The centers are awesome, and your timing is perfect...we are doing nutrition in science this week. Thank you so much for sharing! I have one question about the abc order center though: you have both broccoli and bananas as word cards. 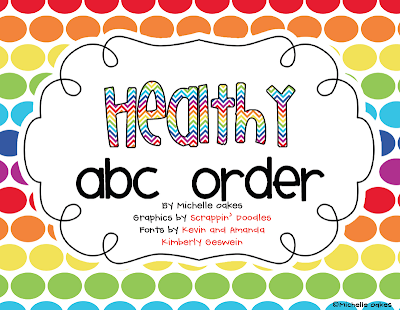 Is that an oversight, or are your kids already going to the second letter when putting things in abc order? If so, I'm impressed! My kids are nowhere near ready for that yet! The Walk-A-Thon is great! My schools walkathon is a big fundraiser for us and gets us a good amount of money. Ours is held on the weekend though. I look at your lesson plans (which are great by the way). At first I was like, how on earth does she fit all these things in in one day (I don't think I can do that!)?? And then I noticed, I don't see any breaks! So now out of curiosity, do your kids have any recesses besides lunch? Sorry for the deleted comment...call me butterfingers tonight! 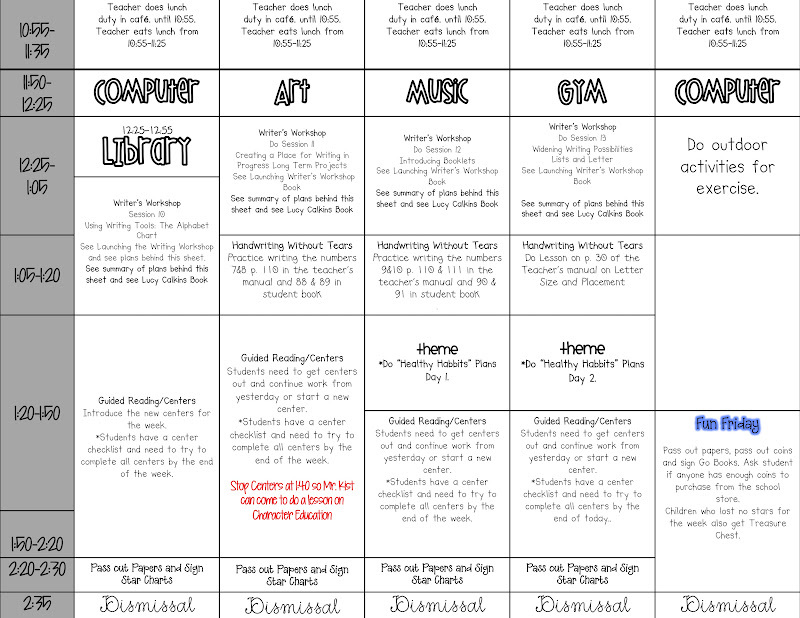 Thanks for your always-awesome stuff and for sharing your lesson plans! So helpful! If you click on it, it takes you to google docs. It's an editable Power Point document. If you don't have the fonts on your computer, they won't show up. The fonts look like: Wish I Were Taller (specials and subject headings) and Elise (walkathon) (both free from kevinandamanda.com)and I'm not sure about the other ones...good luck! i am member #2900 ! congrats! exciting! Is there a way to open your plans in PDF or just viewing the picture. Maybe I'm missing something. Thanks for sharing! I love the emergent reader. Will be perfect for our kiddos! Thanks for sharing! I noticed under "Fun Friday" you talk about giving out coins and the kids using them to buy things...can you explain this some more? Thanks! Love you lesson template! What fonts did you use for them? I just purchased your first grade helper. I LOVE LOVE LOVE it. I tried to edit the hundreds chart because we have to teach the 120 chart up and down. Showing groups of 10 instead of across. If that makes sense? Anyway I tried to edit it and it didn't work. Any suggestions. I do have powerpoint and I've made documents before. Thanks! !